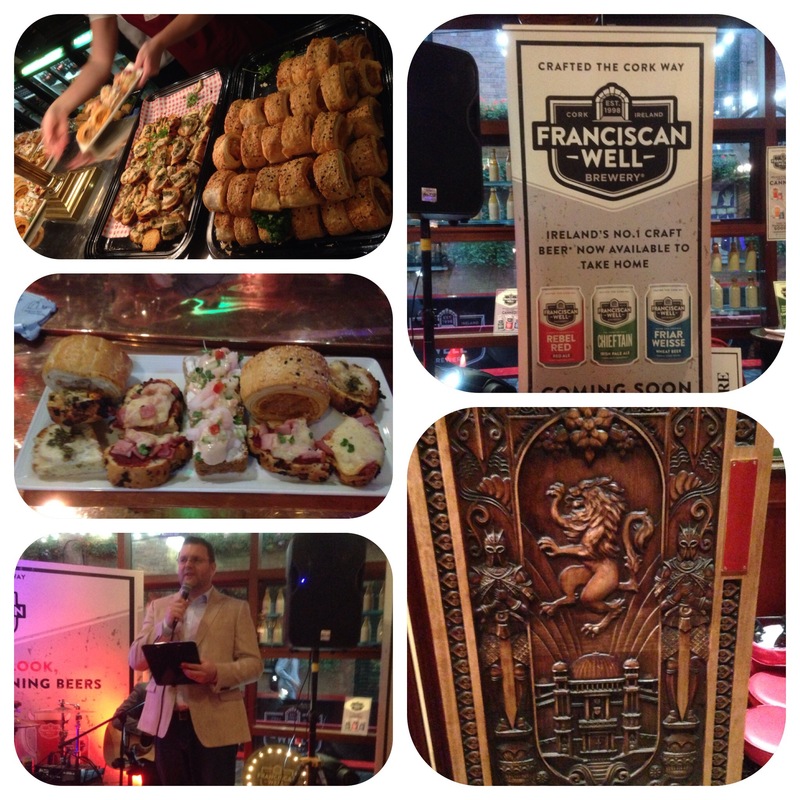 Tonight saw the launch of Franciscan Well canned craft beer. 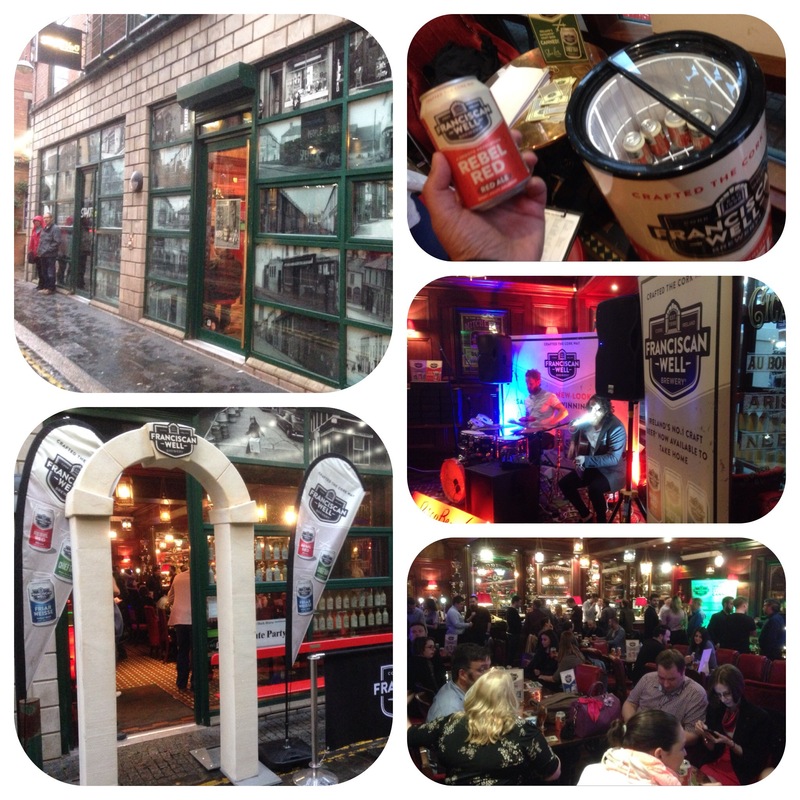 The beers are brewed in Cork and the venue for the launch was The Dark Horse in the Cathedral Quarter. On arrival we were handed a can of Rebel Red (a red ale) which was rather palatable. The Friar Weisse or wheat beer was also nice and not too bitter. Didn’t get to taste the Irish Pale Ale, although my mates said it was good!! The cans are colour coded (red, blue and green respectively). There were prizes to be one for the funniest tweets, also a fine spread of finger foods laid on by The Dark Horse and all the while there was a live band keeping us entertained!! Big thanks to Michael and Ciara from Duffy Rafferty, to The Dark Horse-where,for the Game of Thrones fans, is the 10th carved door and lastly Franciscan Well! !